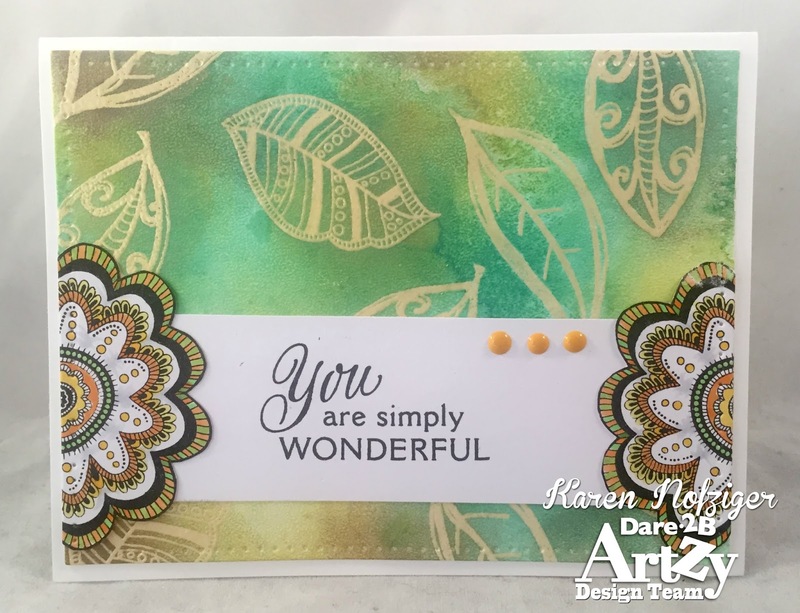 I first wet embossed the leaves randomly using ranger embossing powder and then inked up the background with Distress Oxide inks in Lucky Clover, Fossilized Amber, Wild Honey and Walnut Inks. I colored the flower with Copics C1, YG00, YG03, YG06, YR12, YR14, YR16, Y13, Y15 and Y18. I cut the flower in half and used the two halves to frame the sentiment. 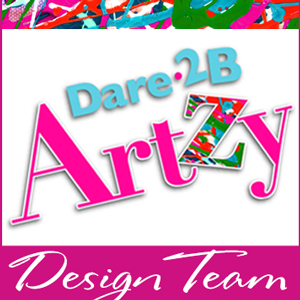 Hope you have an ARTZY day! Ooh, how BEAUTIFUL Karen! Lovely card!